Dear residents and guests of Nur-Sultan! The concept of culture includes all that man has created: built cities, created art, written language, form of communication, historically established customs and traditions, aesthetic and moral ideas. Culture teaches people to live in society, to comply with norms, requirements, and standards of conduct. Still, the main purpose of culture is to promote the spiritual development of man, showing his talents, and abilities. 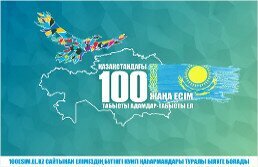 In this regard, it should be noted that the projects conceived and implemented in the capital, contribute, firstly, for creation conditions of cultural development of the population of Astana, for realization of constitutional rights of citizens to rest. Secondly, it provides an opportunity to support talented musicians, actors, artists. This is the development of a network of cultural organizations. The cultural brands of the capital can be called the Palace of Peace and Accord, the State theatre of Opera and ballet “Astana Opera”, the national Museum of the Republic of Kazakhstan, Palace of Independence, Central concert hall “Kazakhstan”, Capital circus, which demonstrate the growing global status of our city. World-renowned conductors and singers from Russia, Austria, UK, Poland, Slovenia and other countries consider it an honor to work with professional creative teams of Astana. Our teams honorably represent the country in international festivals and competitions. Entertaining, cultural and educational projects, organized by palaces, theatres, museums, libraries of the capital, create a foundation of the national-state identity and unity of the citizens, directed on the statement of the value of patriotism in people consciousness. The activity of our Management is also associated with the archival activity of Astana city. The archive is the source of the history of the country, the holder of the chronicle events of the public life, whose main goal is the preservation of historical heritage for future generation and utilization of valuable archival documents for the further development of our state with the role assigned to him for study and restoration of historical past. 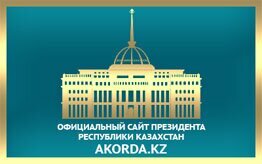 Representatives of our sphere honorably work today in a competitive environment, contributing in the achievement of the goals and objectives, set by the President of the Republic of Kazakhstan N. A. Nazarbayev. We invite you to participate in preserving the history of the capital, and formation of new cultural projects, new creative ideas.